Alliance Environmental & Abatement Contractors was incorporated in April 2001with combined experience of over 80 years in the environmental/remediation field. We have developed excellent relationships with our clients, including leading environmental consultants in Ontario. Our firm is fully insured, certified and bonded. In all our years of operation, we have never failed to complete a project on time and on budget, nor had any Ministry of Labour violations. These projects encompass commercial, institutional and industrial settings and include schools, hospitals, office complexes and government facilities; we are currently members in good standing with the Toronto Construction Association (TCA) and the Environmental Council of Ontario (EACO) as well as an accredited member of Contractor Check, the health & safety accreditation program for contractors. 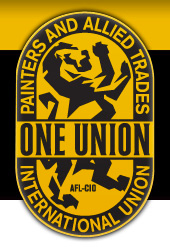 Alliance Environmental is a unionized company and is bound by the provincial collective agreement between the International Union of Painters and Allied Trades. All personnel are fully trained and certified in WHMIS, fall protection, asbestos, mould & lead abatement and infection controls. Copies of certification will be produced upon request. Currently, we have 32 full time employees including two estimators, one Health & Safety Officer and two office staff. Alliance Environmental owns a fleet of seven GPS equipped trucks to dispatch to job sites. We also own an office/warehouse location within the GTA as well as all equipment commonly used for asbestos and mould remediation including negative air machines, power tools, scaffolding and ladders. Dean has been with Alliance since its inception in April 2001 and has over 25 years of extensive industry supervision. He has been certified by Pinchin Environmental, T. Harris, C.D. Sonter, Fisher-Lovegrove and the Safety Ontario Research Foundation in Asbestos, Mould, Lead, Hazardous Materials, Infection Controls, OHSA & Construction Regulations for Supervisors. He also has experience in bird/bat guano and animal feces clean-ups. Bob has also been with Alliance Environmental since inception and has over 25 years of industry experience in site supervision and estimating. His credentials include certification is Asbestos, Mould, Lead, Hazardous Materials Infection Controls, OHSA & Construction Regulations for Supervisors. He also has experience in bird/bat guano and animal feces clean-ups. Serving commercial, institutional, hospital, educational, industrial and manufacturing sectors, both Dean & Robert have managed numerous environmental projects. Dean & Bob are recognized experts with over 50 years combined experience and Training Certificates in Environmental Remediation, Project Management, OHSA and Regulations for Owners & Managers. Confined Spaces, Type 3253W and 253S, Construction Health & Safety, Demolition and Removal of Hazardous Materials including: Asbestos, Lead Paint & Dust, UFFI, Pesticides and Fungicides, Acids, Pharmaceutical & Microbial Cleanups and Toxic Animal Feces. Both have extensive experience in cleaning Heavy Metals, Soil Remediation, Underground Storage Tank Removals and Construction-Related Infectious Control Measures. Dean & Bob have over 120,000 hours of Site Management and has managed Environmental projects valued at $1 – $2 million, and has overseen crews of up to 50 workers. They both have certifications from Pinchin, T Harris, C.D. Sonter, Fisher-Lovegrove and Brandy Safety Ontario Research Foundation in Asbestos, Lead, Mould, Hazardous Materials, Infectious Control and WHIMIS. Alliance Environmental Abatement Contractors serve Commercial, Residential, Institutional, Hospitals, Schools, Industrial and Manufacturing Facilities and Properties.